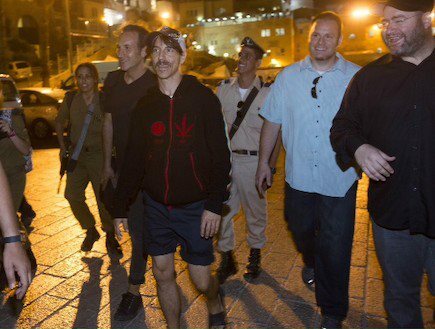 Anthony Kiedis and RHCP arrived in Israel for their concert at Hayarkon Park. The decision to play Israel by the band sparked a lot of controvery online with even a Palestinian group set up calling for the Chili Peppers to cancel the concert and it seems that the controversy is continuing in a different way as things don’t seem to be getting off to a brilliant start for Anthony Kiedis in the country; a local TV station is running an item on the arrival of the Red Hot Chili Peppers including footage of a brief altercation between Anthony and a camera man working for an Israeli TV station. The article accompanying the video suggests that the vocalist was nervous but it seems more likely that he was annoyed by the man filming him while trying to enjoy the view from a viewing platform (a woman who was standing close to Anthony also walked off seemingly annoyed so maybe that was a factor too?) 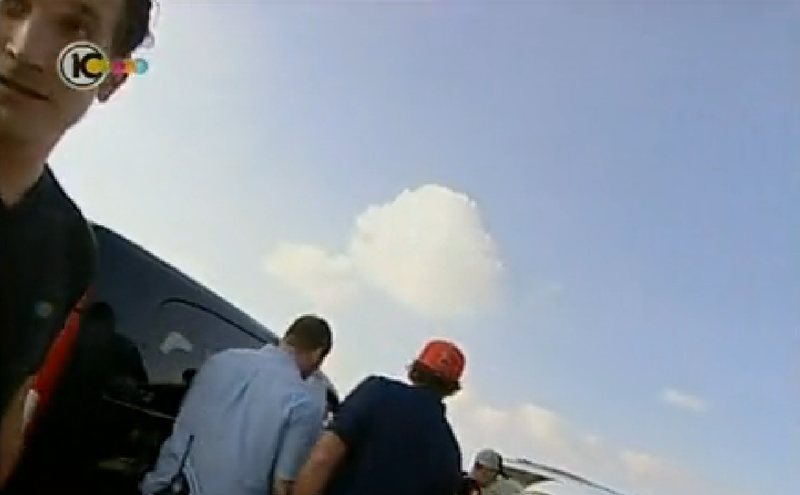 as Anthony can be just about heard saying something about a “nice welcome” in a sarcastic tone before going over to the camera man and appearing to punch the camera (from the comments made; the footage at this point is of the floor rather than what is happening) resulting in a brief argument between the two men. Anthony is persuaded to get into the car by others around him while Dave Mushegain (AK’s close friend and RHCP photographer for the forthcoming fan based book) tells the cameraman repeatedly that he’s “done” filming. Such a silly video. Wish we could judge people by their finest hour – and AK has so many of these. 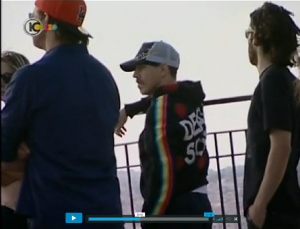 Who even wants to see a badly shot video of RHCP stood at a view point with their mates – would way rather them in the vid for Cant Stop or Rain Dance Maggie. And doesnt matter how famous someone is, they should be allowed to look from a view point without being spied on and filmed. Press have enough opportunities to get similar pics without invading privacy.